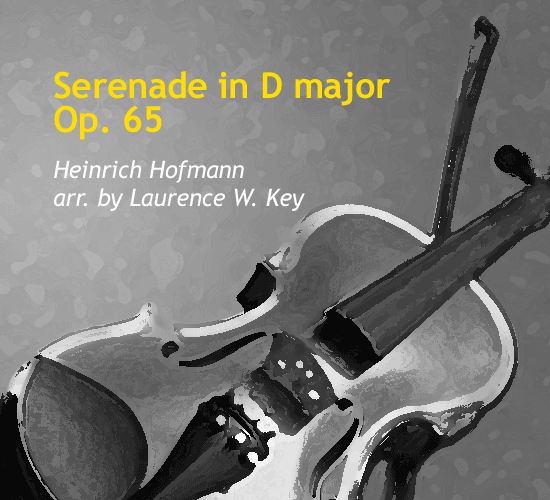 Hofmann (1842-1902) found immediate success as a German composer for orchestra, piano, opera, and a variety of instruments. 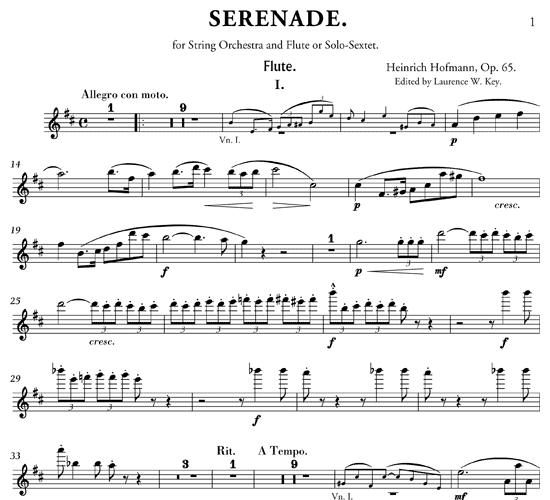 Though he received state honors and decorations, his style did not remain long in public favor. 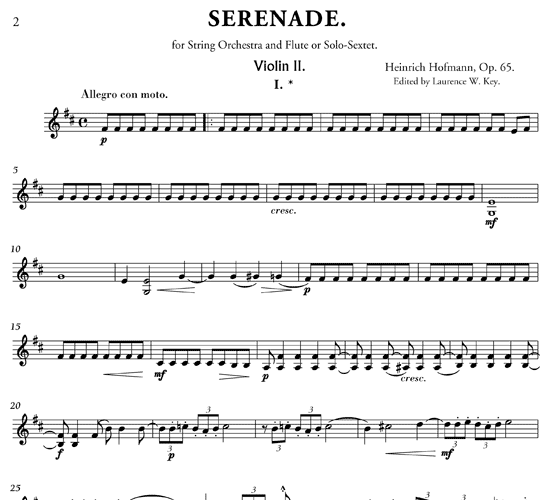 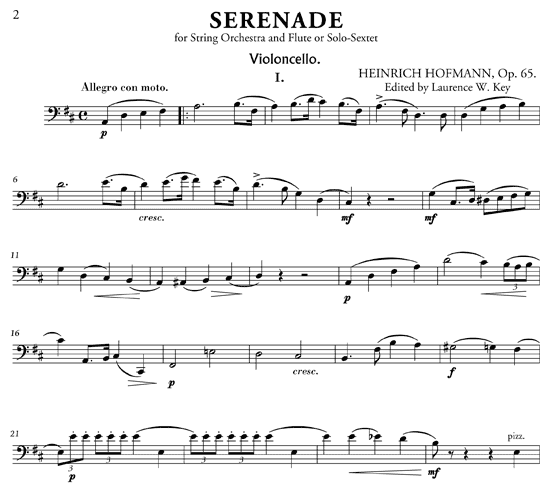 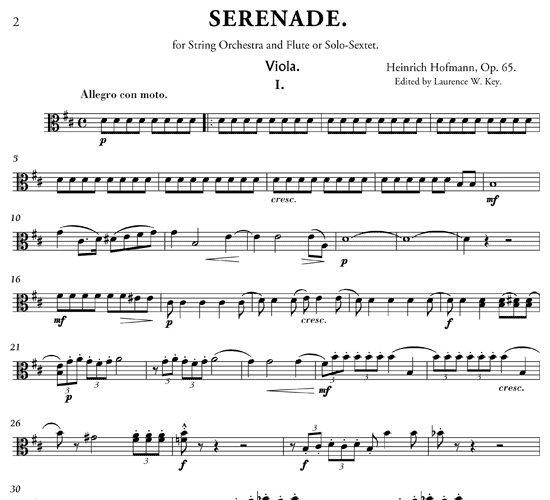 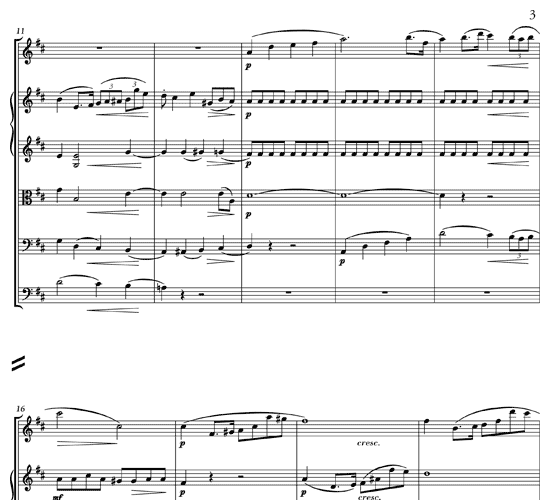 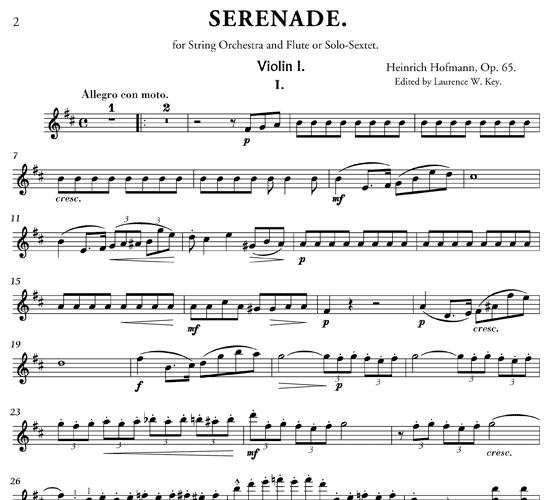 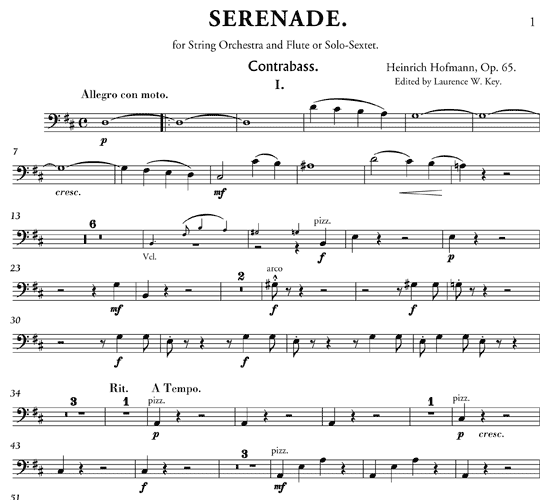 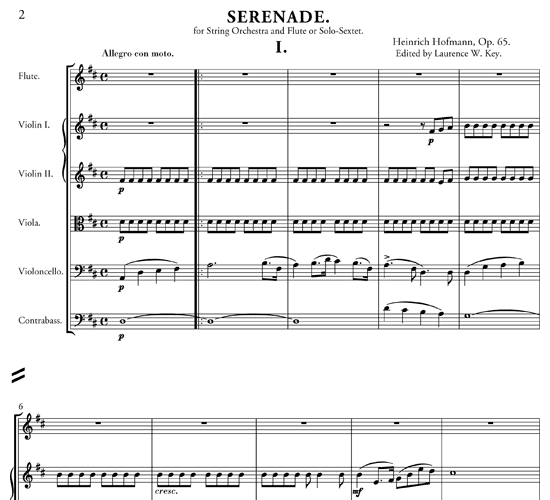 This Serenade was commissioned in 1885 by the New York Philharmonic Club, an ensemble of German-trained musicians consisting of flutist Eugene Weiner, and a string quintet. 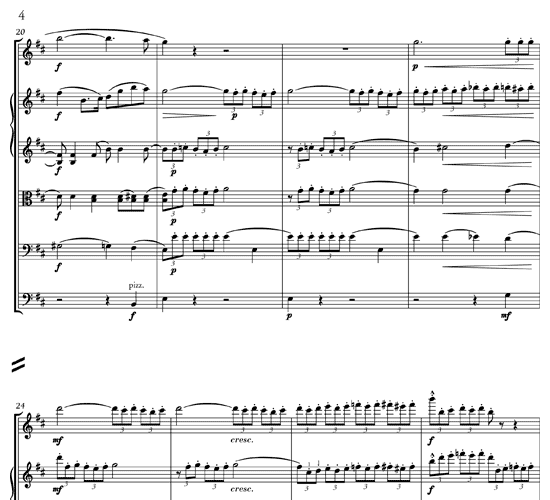 It is quite appealing with a nice variety of tempi and thematic material, ending with the Hungarian folk style.